How large is stage 1 of the Northern Gold Coasts latest town centre? Stage 1 is as big as how many tennis courts? 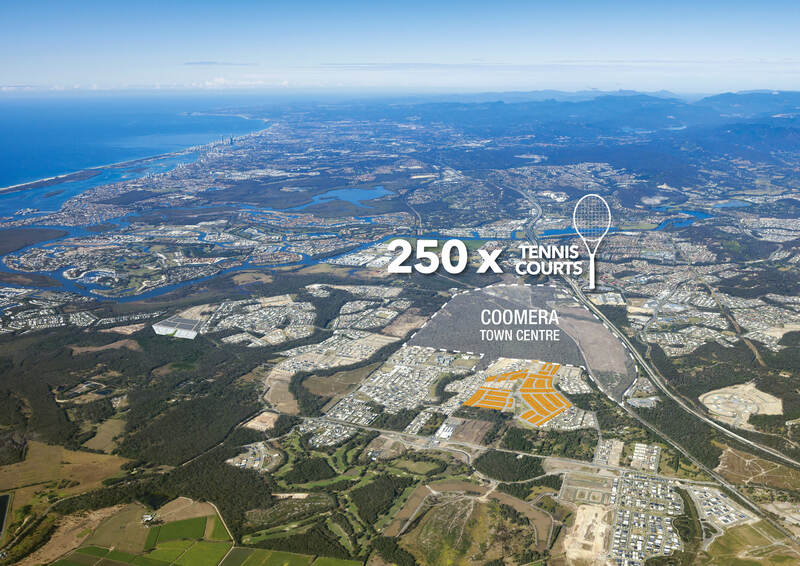 Coomera Town Centre's Stage 1's 61,000 sqm is about 6 times as big as a city block in Manhattan or 250 times the size of your average tennis court. The Coomera Town Centre, to be developed by Scentre Group and QIC Real Estate will contain two department stores, discount department store, cinemas complex, a tavern, two supermarkets, six mini major tenancies, 123 specialty stores and 61 food outlets. More info here.